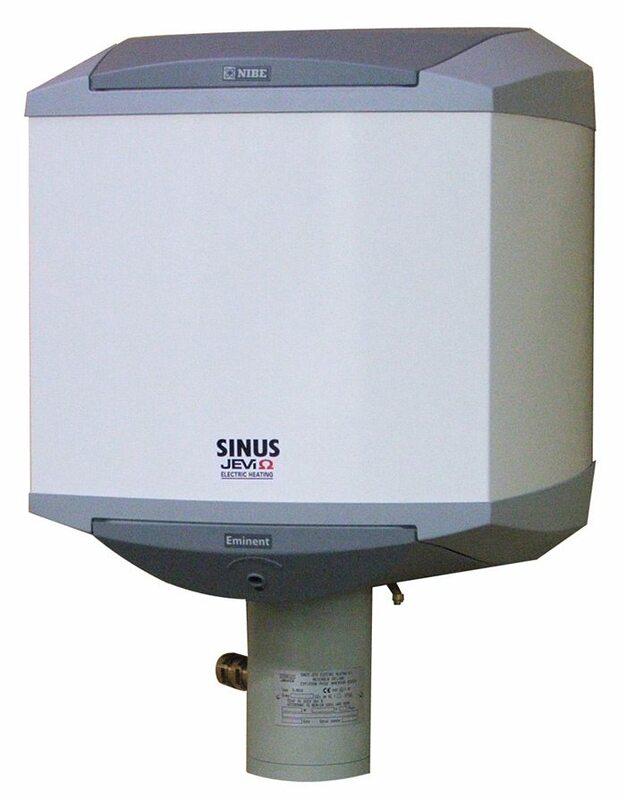 For storage of mains water Sinus Jevi Electric Heating manufactures 3 types of hot water boilers for wall mounting, provided with a flame proof immersion heater type D8640. The inner parts vessel of the boiler is performed of stainless steel EN1.4521 (AISI 444). The pressure vessel is designed and manufactured in accordance with the current pressure vessel standard (PED 2014/68 EU), for a maximum working pressure of 9 bar (0.9 MPa), which is the equivalent to a design pressure of 10 bar (1.0 MPa). The outer part is of a coated steel with a grey synthetic material bottom and lid. Provided with a maximum temperature thermostat with manual reset and a water temperature thermostat till 80°C. The heating elements are manufactured of high quality Nickel Chrome resistance wire compacted in Magnesium Oxide insulating powder and encased in Incoloy 825 metal sheath. Terminal enclosure steel coated with brass cable glands.